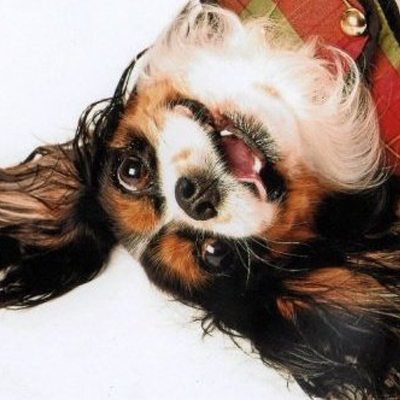 There are many excellent reasons why one can choose the Cavalier King Charles Spaniel as a pet or even as a show dog. They are a small, affectionate, playful and intelligent animal with great desires to return the cares and attentions to their master with complete devotion. Although Cavalier King Charles Spaniel is undoubtedly considered a lapdog because of its size, the Cavalier is very brave and sporty. It is cheerful, friendly non-aggressive, and an excellent and adaptable companion for many types of homes and lifestyles. As for its appearance, the King Charles Cavalier Spaniel can measure up to 36 cm at the withers and weigh 9 kg. 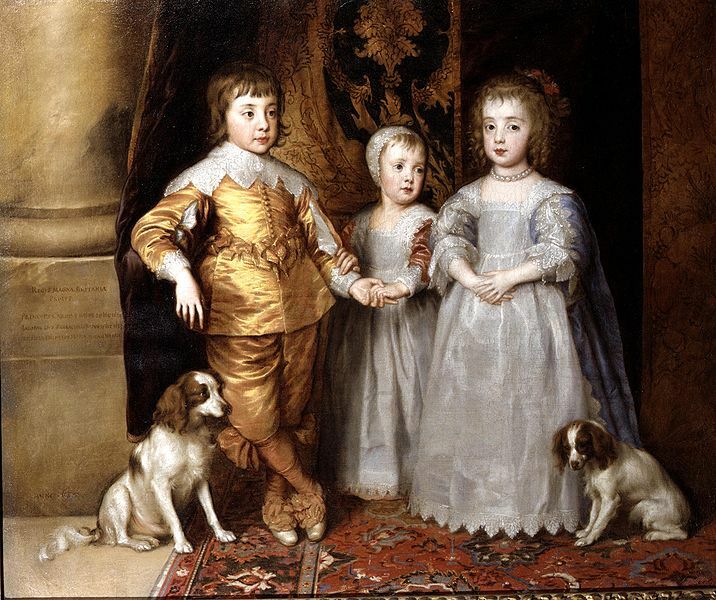 The breed is notable for its four distinct color patterns, each of which, at various times, was associated with a particular noble family: Blenheim (chestnut markings on a white background), Tricolor (black markings on a white background), Black and Tan (black with tan markings), and Ruby (a rich red). 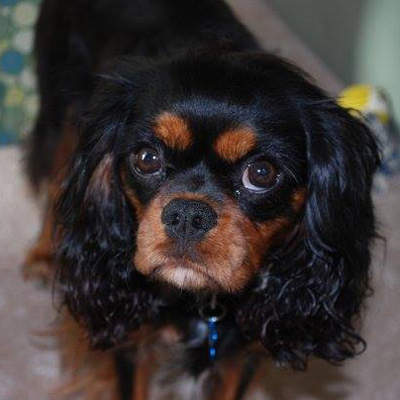 The King Charles Cavalier is very sweet and moves quickly. He has a great instinct to pursue everything that moves (from an insect to a car). It is advisable to take them out for a walk always on a leash. 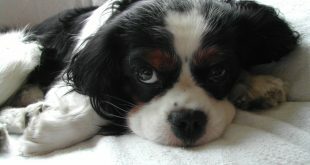 Affectionate, noble, friendly and willing to please everyone, the Cavalier is a very intelligent and obedient dog. Although they may bark when someone strange is detected, they are no guard dogs. 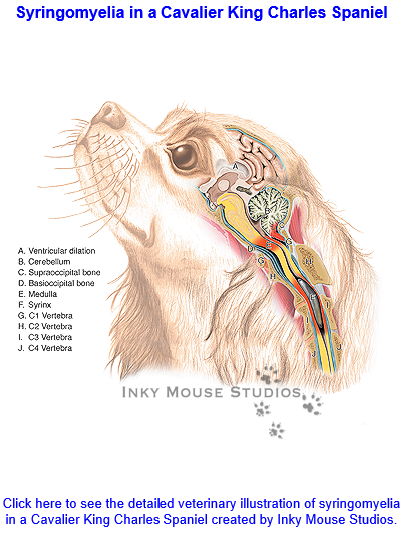 All dogs, regardless of their breed, suffer from health problems at some time in their lives, but, without a doubt, certain breeds seem more predisposed to suffer certain problems than others. 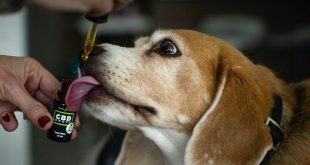 If you know what to look for, owners can be prepared to urgently request veterinary assistance, to catch any problem on time. 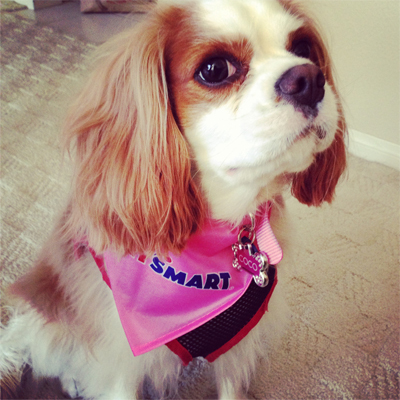 Most Cavaliers are small, healthy dogs, but you should be careful not to get too fat. 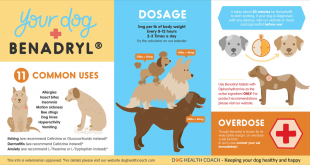 Obesity, although mild, can cause additional stress on the heart, and some Cavaliers tend to have heart problems. 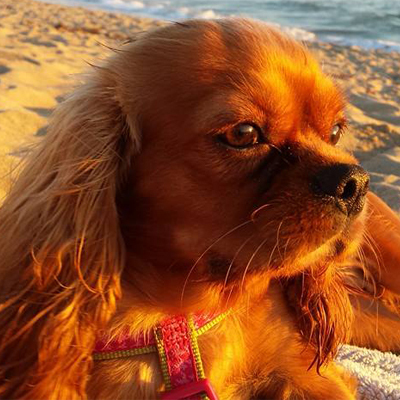 Of course, many Cavaliers live long and healthy lives, but it should be known that, apparently, the onset of heart problems usually occurs at eight years of age, and sometimes before. 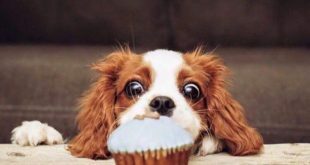 Due to the sweetness of their eyes, many Cavaliers are fed with the leftovers of the food, without the owners stopping to think much about this. In any case, it is better, in the long term, to feed them with a healthy diet and hold back on junk food, to give them only when necessary and certainly no chocolate or pieces of cake, however tempting they may be. 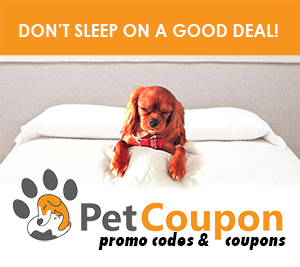 Also make sure to clean and check your dog’s teeth regularly. Breeds with smaller snouts are prone to teeth issues, due to food being trapped in their little teeth more frequently. 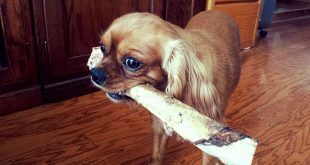 Brush your Cavalier’s teeth at least two or three times a week to remove tartar buildup and the bacteria that lurk inside it. Daily brushing is even better if you want to prevent gum disease and bad breath. 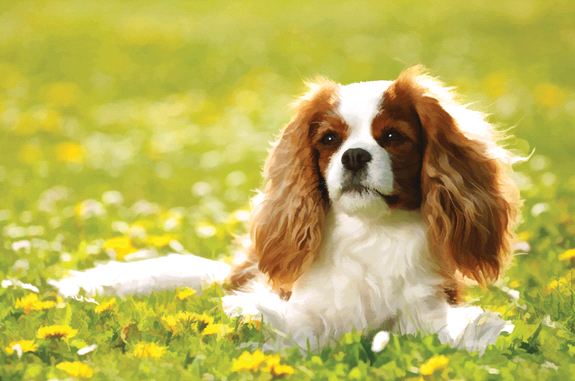 Cavalier King Charles Spaniels were bred to be a lap dogs, however, they are descendants of sporting dogs and does enjoy moderate exercise and outdoor activities, Cavalier King Charles Spaniels will happily go on walks with their owner and also perform well in a number of canine sports. They are just as happy to stay on the sofa all day.